For Spectrum owners who like to do a little more with their computers than play games, Orion Software’s Format 4 graphics planning system may well prove invaluable, and you get an amazing amount of material in the kit for your money too. 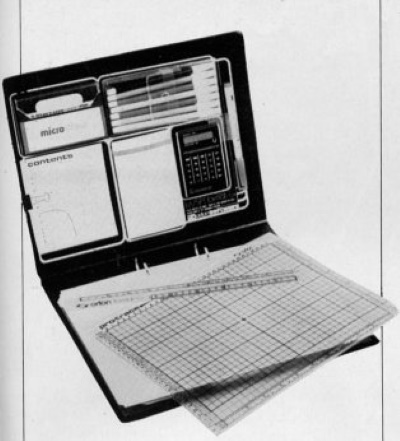 The kit was first launched in the Your Computer Christmas Fair held at Wembley and apparently received a very good response, the only critic being games writer Jon Ritman of Artic Computing, who complained that the trace screen was no good to a professional because it lacked the full 24 lines available to machine language. Orion have put this right, and the current kits are now equipped with PROTRACE reusable trace screens catering for all BASIC and machine code input. 20 detailed UDG plans with decimal notations, arranged in 6 groups of 4, plus 15 small rough planners per sheet. Each group of four character blocks is divided up into the 8 x 8 pixels. There are 20 full screen PLOT DRAW and CIRCLE plans, printed to the same size as the trace screen, and block grided for use with the scaled pixel. 20 quarter screen plans for larger scale graphics and routines assembly. And 20 general screen PRINT plans featuring a grid pattern identical to TELEPLAN, an optional extra which gives better visual reference to the actual TV screen. In addition to the plans there is a translucent trace screen and scale matched pixel rule, matt drawing/backing board of plastic, and a Staedtler fine point pen, the ink of which may be removed with damp tissue. Finally there is one clear plastic storage sleeve. Microdraw has been devised by Micromania, who have also used this kit to help design	graphics for Pengy and Tutankhamun. Microdraw is a menu-driven utility which allows for block and hi-res drawings with very easy access to erase, skip and jump facilities, alterations of BORDER, INK and PAPER colours, printing characters and storing work in the short term or SAVEing completed work. Used in conjunction with the Format 4 kit plans, it all adds up to an extremely useful graphics designers utility, at what is a very reasonable price.